Giving the Old Girl a Face Lift. 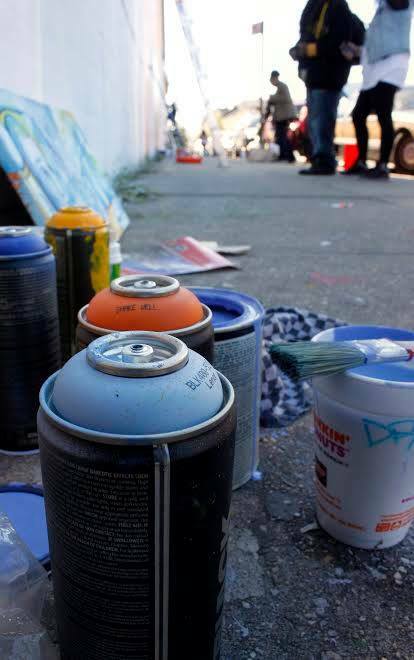 Last year I answered an open call for artists to do a mural for a community project in Brooklyn. I soon realized that they were in a bit over their heads and suggested bringing in a friend with a range of experience coordinating the kind of large scale project they were hoping for. 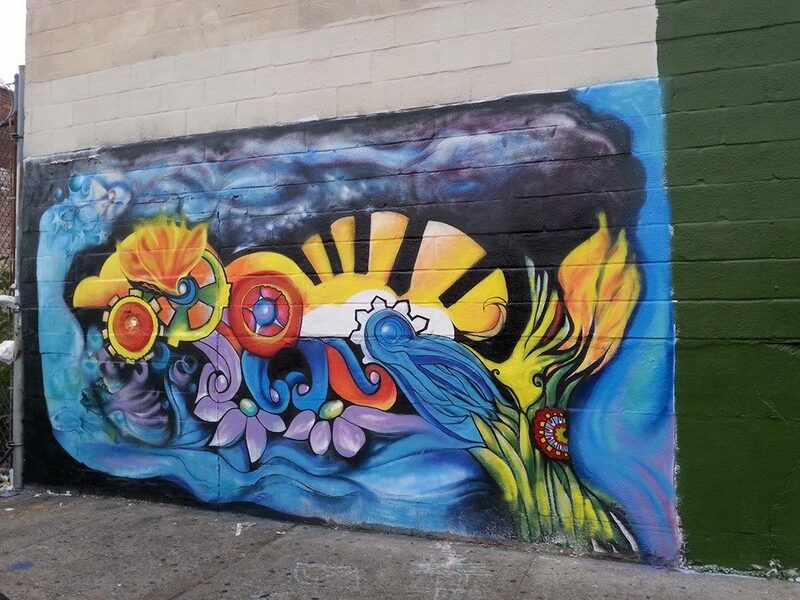 Xmental, along with it’s mentors and the youth we mentor, brought the wall at Halsey Street and Wyckoff Avenue in Bushwick to life. I was so happy and proud to have been a part of the start of such an amazing project. My mural is one of two permanent pieces (along with http://www.ceno2.com/ ) at the Halsey Street Dreamway. I am humbled to be given that honor. This year, Xmental made good on their promise to turn the Dreamway into an inspiring and monumental work of art. 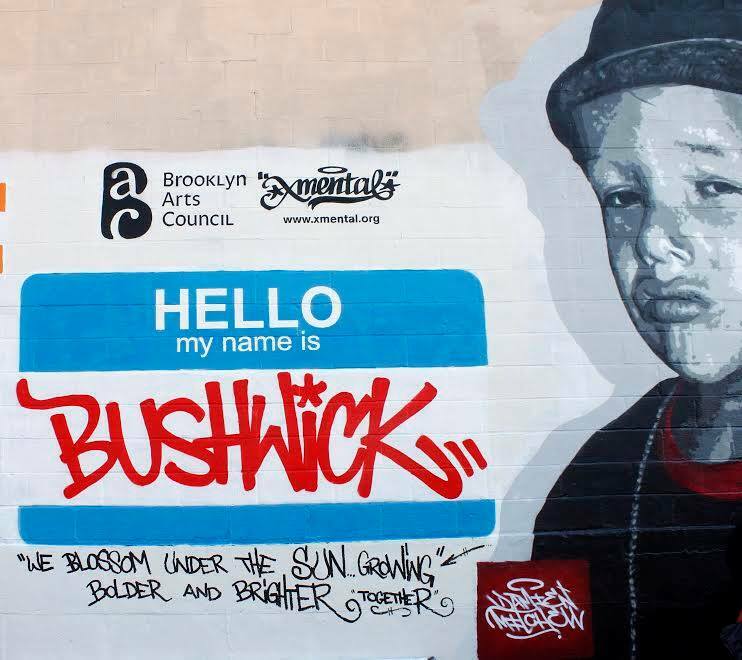 Ralphy Tatuxmen Perez, Xmental leader extraordinaire, joined forces with the Brooklyn Arts Council to organize and subsidize a call for artists that turned the Dreamway into an inspiration addition to the community. Fifteen artists were chosen to express their vision, and what a variety of perspectives are there! I took the opportunity at that time, to give my old friend a facelift, brightening up it’s aura and sharpening my original vision. The piece is a reflection of my belief in the fact that we are all connected. Our consciousness creates our reality and our origins on this plane of existence. It is not a new idea, but I find it’s not something we think about too much. We are too busy wondering why we are here instead of just being and doing. I want to continue to do as much as I can and to create a reality that I can be happy and fulfilled within. The thing that I loved most about working on this particular mural was the encouragement and positive energy that we received from the people in the community. They stopped and admired, asked questions, took pictures and said “Thank you” for bringing art, that everyone could enjoy, to their little piece of reality. 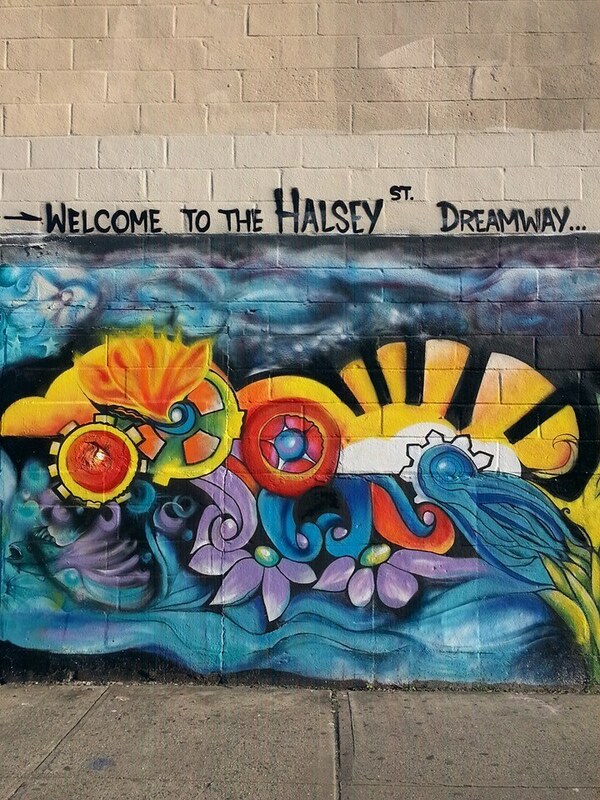 If you are ever in Bushwick, Brooklyn stop by Halsey Street and Wyckoff Avenue and step into a dream…become real. .
26 Nov	This entry was published on November 26, 2014 at 5:30 am. It’s filed under artwork and tagged community, fine art, graffiti, graffiti artist, Halsey Street Dreamway, perception, reality, street art, together, Xmen Worldwide, xmental. Bookmark the permalink. Follow any comments here with the RSS feed for this post. Newer: Life is a constant surprise.